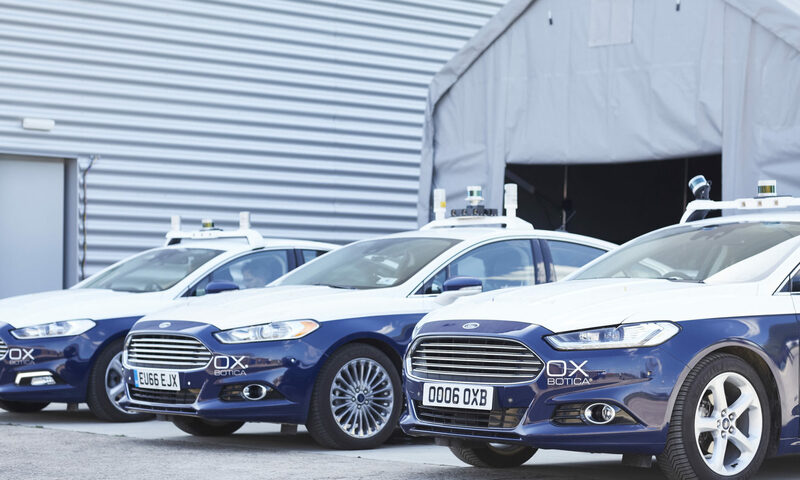 Today (Tuesday 5th September 2017) the DRIVEN consortium unveils the first three of its proposed fleet of six self-driving vehicles, a white and blue 2014 Ford Fusion Titanium hybrid, a 2017 Ford Mondeo hybrid and a Range Rover Evoque. The Range Rover Evoque will be on display to the media for two days at the Cenex Low Carbon Vehicle (LCV) Event 2017 in Millbrook, Bedfordshire from the 6th September 2017. Also commenting, Steve Gooding, Director of the RAC Foundation said: “Testing the technology that enables autonomous driving is clearly an important part of the development process. “High visibility branding of the test vehicles is a good thing, as they move from extensive off-road trials to streets where they’ll be mixing with everyday traffic, so that we know not to panic when we see one approaching with no-one holding the steering wheel. DRIVEN, which is in receipt of an £8.9 million government grant designed to stimulate the development of new technologies, is an ambitious project that will see a fleet of Level 4 autonomous vehicles being deployed in urban areas and on motorways, culminating in multiple end-to-end journeys between London and Oxford in 2019. By operating at Level 4 autonomy a vehicle has the capability of driving itself most of the time without any human input. Testing of key manoeuvres with the vehicles – including how to navigate roundabouts, tricky traffic junctions, and interaction with pedestrians, cyclists, and other vehicles – is already taking place at RACE’s AV test facility at Culham Science Centre in Oxfordshire. During testing, fully licensed and specially trained safety drivers, will be in the vehicles at all times, ready and able take over the driving if necessary. 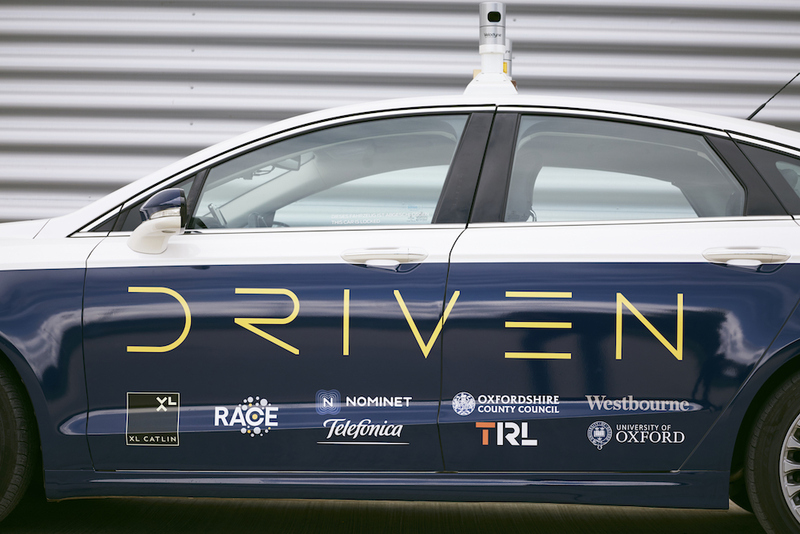 DRIVEN will be organising a public demonstration of its self-driving vehicles on selected roads around Oxford in early 2018. The next six months will see DRIVEN’s fleet of vehicles increase to four, with urban trials taking place around the streets of Oxford. By Q3 2018, there are plans that the fleet will be six-strong. The wide-area road testing of the fleet is due to start in late-summer 2018 across a range of environments including low-speed urban and higher speed long distance motorway driving. The vehicles are fitted with a wide variety of technology, including Oxbotica’s Selenium autonomy software, lidar sensors, on board computers, and cameras. Through its members at Telefonica and Nominet, the DRIVEN consortium is ensuring maximum security of this data to protect drivers and other vehicles from cyber security threats. A key opportunity for the consortium and one of its members, global re/insurer XL Catlin, and TRL (the UK’s transport research laboratory) is to develop real-time risk assessment systems that enable a better understanding of how to improve overall system performance across a range of real-world conditions. By 2019, the consortium plans to have developed a ‘Real-Time Risk Register’ that automatically processes a range of data from both the vehicle and external sources that surround it, for example traffic control systems. Testing of data sharing with insurance systems is due to take place from January 2018 and will enable development of ‘Insurance in the Loop’, under which cover is granted automatically when the vehicle is in autonomous mode. The system has the potential to radically transform how insurance and autonomous vehicles will work together in connected cities. County Councillor Ian Hudspeth, Leader of Oxfordshire County Council said: “Oxfordshire County Council has a great deal invested in this ground-breaking work and is playing a major part in making it a success. As the organisation responsible for the county’s local roads we are engaging with technology providers to deploy sensors and equipment on our assets which will allow the cars to navigate the routes successfully. “With our involvement in DRIVEN, Oxfordshire County Council is leading the move towards harnessing technology developed by local businesses to bring autonomous vehicles and Smart City benefits to our residents, whether that be combatting congestion or applying the data and learning from this project to our other services.